This addon art kit contains a complete dungeon tileset, made up of approx 260 tiles, where walls, floors, doors and other basic details has been compressed into a single tile. 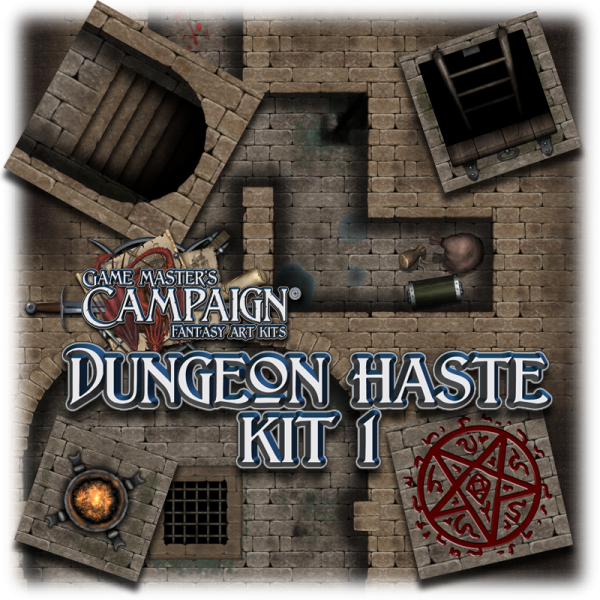 The idea is that the Dungeon haste kit 1 will enable you to create dungeon rooms, labyrinths or even stone wall buildings fast. The elements used to create this tileset can be found in the Base Fantasy art kit. This purchase is for a digital download of several images, approximate size is 125 Mb in a zipped file. The fullsize tileset is mainly 512 x 512 pixels, the halfsize tileset is mainly 256 x 256 pixels, the quartersize is mainly 128 x 128 pixels.